California, while burning, in a never seen before way, builds (some) electric cars and installs a significant solar electric production capability. However, there are other ways to advance the struggle for more ecological tech. Competing sailboats is one way. A competition of sailboats is organized from Saint Malo, France, to Guadeloupe in the Caribbean, every four years. It’s open to all transoceanic sailboat categories, “ultimes”, multi-hulls, monohulls IMOCA, etc… as long as there is only one person on board. Prizes are attributed in each classification category. So what? What’s the wisdom to be extracted from all this tech avalanche? Well, we, humanity, are a tech avalanche. No tech, no wisdom. Or then just that of an orangutan. Ah, yes, we are killing the planet. Maritime transport is one of the main sources of CO2 pollution. The technology developed by these (mostly) French boats could be applied to cargo boats 10,000 times heavier. Same flying boat in action, foils in evidence. Nothing to smirk at: the sailboats can fly at 80 kilometers an hour (50 mph), using just the wind. Not just pushed by the wind, but even zigzagging into the wind. Overall, the death rate of these sailing adventures is now very low. Capsizing has become a well mastered art, with insubmersible boats, and immediate alerts. It was not always this way: the famed solo sailor Alain Colas disappeared on the same Route du Rhum, 40 years ago, while leading it. His boat, then the world’s most advanced multihull, could sink, it was made of metaL, and sink it did. Colas’ last message, in a terrible storm, was that he was surrounded by mountains of water. The reason sailboat tech has not been applied much in large transport has been mostly political, as usual. Maritime transport was long excluded from pollution rules, thus used the very worst oil residue refineries produced… this is the highly polluting “bunker” fuel. Rotating sails can be used (they exploit the fact that if wind slips faster on one side of an object, a low pressure occurs, just as where the wind slows down, so molecules pack up, and higher pressure happens. This is why rotating balls have curving trajectories.) Rotating sails enable at least 10% savings. Investing massively in wind tech for major boats has an element of risk, so government should help. Northern Europe has mandated stricter pollution rules. Recently a giant cruise ship, the largest in the world, made in France, berthed in Marseilles, France. It was computed that it polluted as much as two million cars, that is of the order of the entire Provence region of France. Air transport will also have to be improved, with electricity (hybrid planes, recharging while descending, etc.) Yes, that depends upon batteries. But, as with antibiotics, much more public research investment have to be done. One can’t just let private companies do it all. The rumor has it that Samsung has improved battery tech considerably with graphene (charging in minutes, and with 40% more energy storage). Right, graphene was discovered thanks to government research funding. But more public funding is needed. 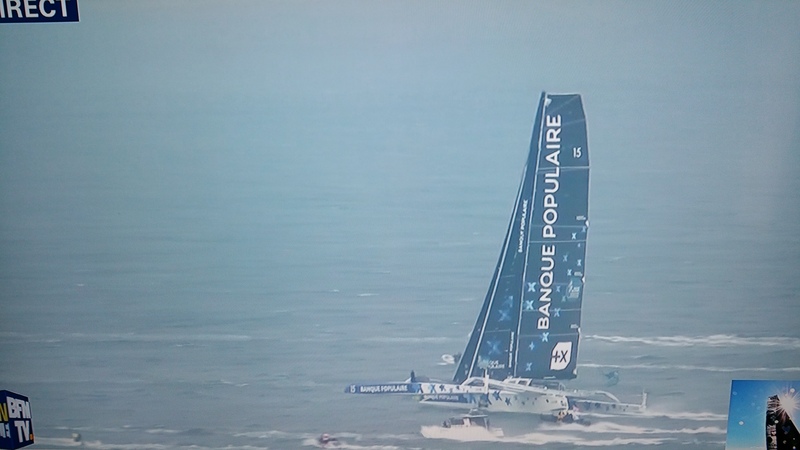 A 62 year old Frenchman, Francis Joyon, won the Route du Rhum this year. A few miles from the end, his boat was just a few boat lengths away from Gabart, a young sailing and engineering genius who had been 200 nautical miles ahead earlier on. But Gabart’s most modern boat was “broken”, with a missing foil on the right, and a missing safran on the left. The competition was nearly delayed, because the storms piling up in the Atlantic were so numerous and so nasty (still another consequence of the climate catastrophe). 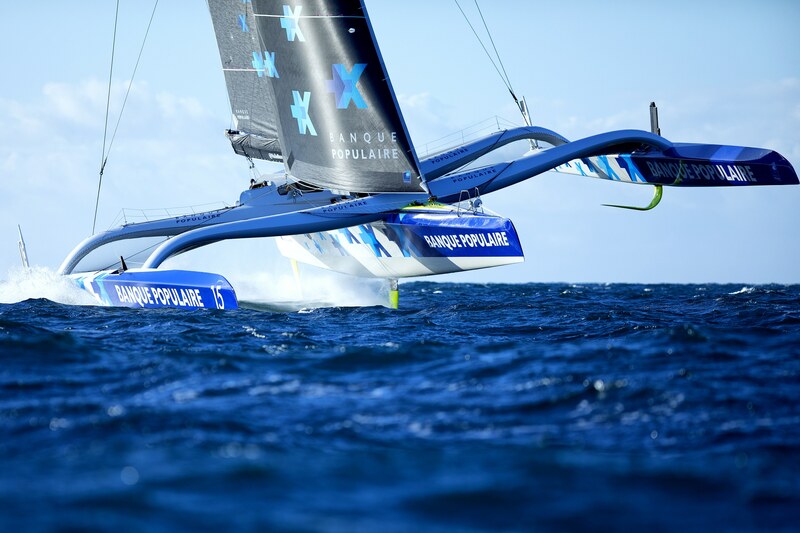 Francis Joyon of France set a new record time for the 3,542-nautical mile Route du Rhum-Destination Guadeloupe solo transatlantic race from Saint Malo in Brittany to Pointe-à-Pitre in Guadeloupe. 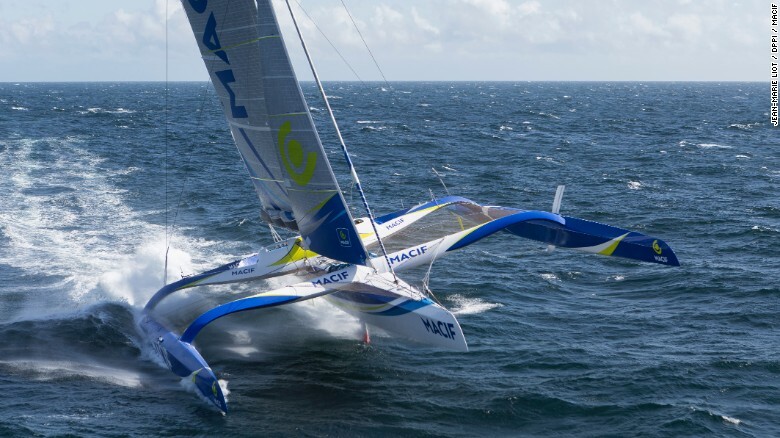 At the helm of the maxi-trimaran IDEC Sport, Joyon completed the solo race in seven days, 14 hours and 21 minutes, beating the existing course record by just 46 minutes and 45 seconds (Gabart and Joyon mostly slowed down by storms; the other four ultimes were damaged, or capsized, although two restarted after repairs over a few days in Spain).